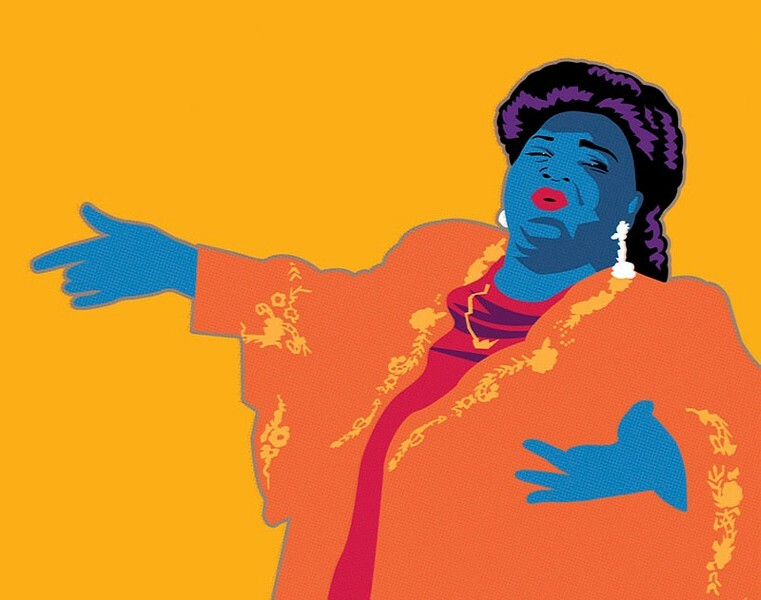 LARGER THAN LIFE The great Mahalia Jackson comes alive in new Cinnabar Theater production. 'Mahalia Jackson has been a part of my life as long as I can remember," says singer and playwright Sharon E. Scott, speaking of the legendary New Orleans gospel singer and civil rights activist. "My grandmother was a pastor's wife, and we could only listen to sacred music. She was a maid, cooking dinner every Sunday starting at 5am. I remember her in the kitchen, singing along with Mahalia's records as she cooked. "So growing up," Scott says, "Mahalia's music was always wrapped up with all of those delicious smells." Scott, originally from Florida, has performed her acclaimed tribute to Mahalia Jackson all over the country. This January, she brings it to Petaluma's Cinnabar Theater. The play—in which Jackson tells her story to a radio DJ—is especially important to Scott, as it was something she worked closely on with her late husband, who died in August 2014. "We got married April 29, 2000," she says, "and on our honeymoon, our last port of call was New Orleans. As a singer, I'd done a Mahalia piece once or twice, so when we got there, my husband suggested we make our visit a kind of Find Mahalia Day. We searched all through the city, and we finally found where she was interred." That's when the idea for Mahalia Jackson: Just As I Am was born. "It was Mark, Mahalia and me for our entire marriage," Scott says. "He listened to every story. He found articles for me. We learned that Mahalia wrote a cookbook, but it was hard to find and very expensive. One day, Mark came in with this little package, and it was the cookbook! And then we had to laugh so hard, because those were some of the worst recipes I've ever seen in my life. I actually doubt those were Mahalia's actual recipes, because she was known as an excellent cook." According to Scott, her husband's support of the show, in all of its various incarnations, became as much a part of the piece as Mahalia herself. "When he passed," she says, "the only thing that could reach me, the only thing I could concentrate on, the only thing that could make me feel, was this little play. It saved me. It was my lifeline. What I've learned from Mark, and from Mahalia," she adds, "is that if you work together, you can create great things."